My name is Arlene and I have been a qualified and practicing massage therapist for over six years now. I have been lucky to work in many fields within the industry including corporate, functions, hospital, healthcare and spa environments. Previous to finding my occupation, I enjoyed working in events, hospitality and traveling where I found my love of massage during a working holiday in Thailand. I specialize in deep tissue massage as the many beneficial elements include therapeutic, pain relieving, soothing and rejuvenating results. Im Laura and I live in Glasgow. I feel so lucky that I have found a career I am so passionate about and to be able to work with Dr.Dot and her Team is something that inspires me! I started studying Swedish Massage and Aromatherapy in 2014 and fell in love with it! I then furthered my education by studying Sports and Remedial massage; learning how to target pain specifically, deal with a variety of injuries and aid in the process of recovery. Whether you are looking to completely de-stress and relax after a long week, are suffering pain or discomfort, or looking to maintain and improve your body for sport, I can tailor my knowledge of massage techniques to suit your needs. I look forward to welcoming you to Glasgow! 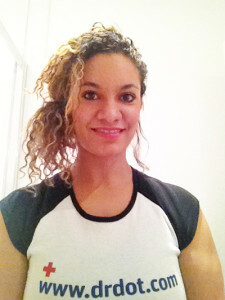 Hi my name is Rachel and I am Sports Massage therapist based in Glasgow. I qualified in 2006 and have been treating people ever since.I absolutely love my job helping people feel amazing. Dr. Dot’s touring celebrity clients. I heard about Dr. Dots International team and dared to apply, my dream came true and was accepted. I am a very intuitive therapist and my clients appreciate my firm, strong touch, and healing hands! performing a great treatment is as much therapy for me as it is the receiver,I just love to massage!! I am really looking forward to meeting everyone that visits my city and will be an absolute pleasure treating you! Hi my name is Jane. 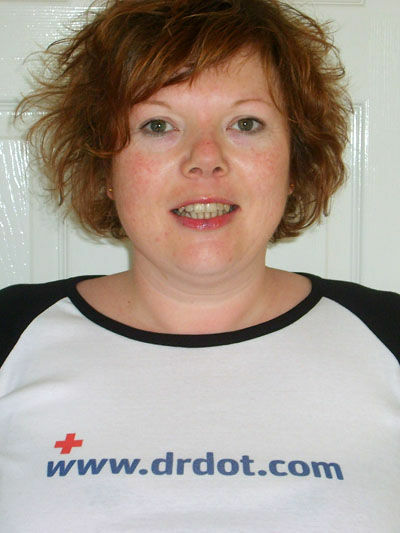 I was born and brought up in Glasgow and I have been a registered nurse for 20+ years but my real passion is aromatherapy massage and its therapeutic benefits .I trained in clinical aromatherapy at the Academy of Aromatherapy and Massage in Central Scotland and qualified in 2006 as clinical aroma therapist. I have built up a small client group and also make handmade aromatherapy products. I prepare every blend used in my massage as per consultation to ensure the most beneficial oils are used. I am also trained in Indian head massage and thermo- auricular therapy. 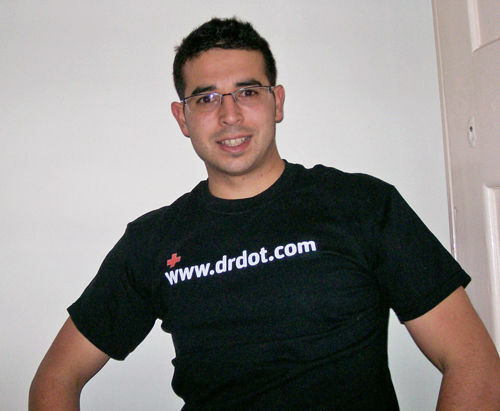 I am very excited to be part of the drdot team . Hi, my name is Emma, born and bred in bonnie Scotland currently residing in Glasgow. 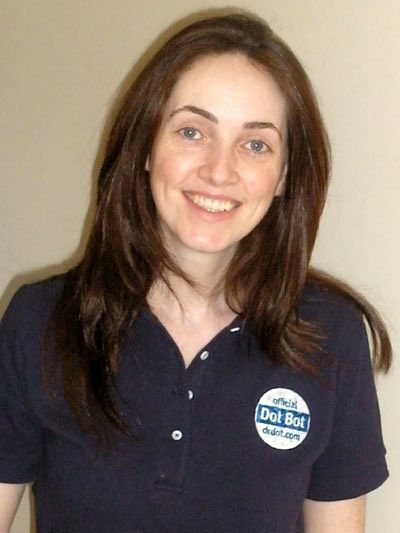 I started out in the world of beauty carrying out nail and beauty treatments before I found my passion for massage. Massage has been part of my life now for the past four years and I absolutely love it. Massage is a wonderful experience to be enjoyed by all. I offer a great alternative to a hot stone massage. If you would like to add a hot element to your massage then you only have to say so. I feel very privileged to be part of Dr. Dot's team. Hi my name is Jemma, and I’m from Glasgow. I am very pleased and excited to be part of Dr. Dot’s amazing team. I initially got into massage as a hobby during my late teens, after receiving a small Aromatherapy kit for my birthday. At the time I was doing a fairly boring desk job, and upon performing my first massage something just clicked. I started reading into the subject more, and spent most of my spare time with my head in a book trying to find out more about the field and learn new techniques. Deciding this wasn't good enough; I quit my job and went to college attaining an HND in Complementary Therapy. Still not satisfied I went on to university, where I achieved my Degree in Aromatherapy. I still love to learn, and regularly attend night classes to learn new skills and develop ways to integrate them into my existing techniques. Some of the techniques I am currently qualified in include Aromatherapy, Reflexology, Swedish Massage, Advance Massage, Indian Head Massage and Hot Stones Therapy. It's my passion for massage that drives me, and I really believe it can help people. As such I want to offer more than just a service, but a unique experience that people can take away with them. I currently run my own mobile Complementary Therapy business, and I am dedicated to ensuring each client’s individual needs are catered for. Hope to see you soon when you visit Glasgow! To book a massage with me, email me at info@drdot.com and put "Joyce/Glasgow" in the subject line please to reach me quickly. 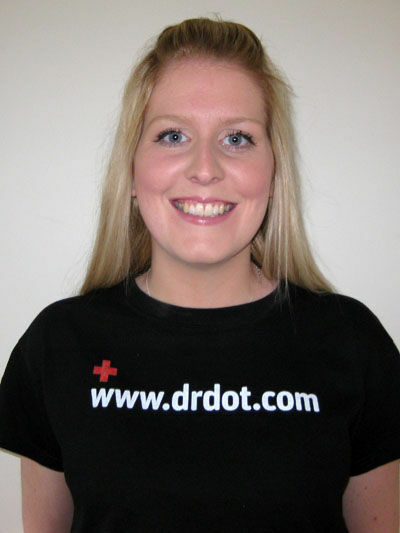 My name is Joyce and I am delighted to join Dr. Dots Glasgow team of Massage Therapists. I first heard about Dr. 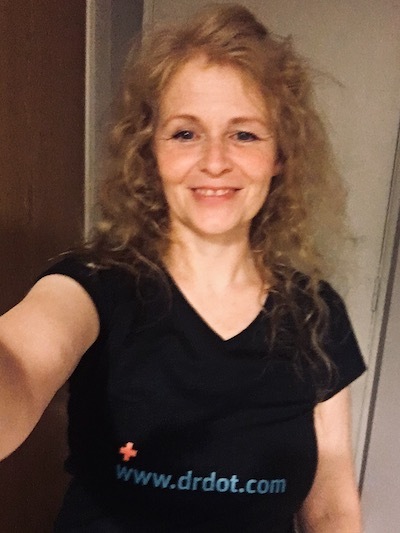 Dot from Cheryl, who is also in the Glasgow team and am so grateful for the introduction and thrilled to be part of this inspirational and exciting team, mixing massage with music. I have been practicing holistic therapies for over 7 years and have had the best time of my life. Helping people to relax and improve their wellbeing is so rewarding but it can also be challenging to ensure they have the best treatment suited to them. I am a full member with the FHT (Federation of Holistic Therapists). I can offer deep upper body massage and am also qualified in Indian Head Massage; Reflexology; Holistic Facial Massage, Hopi Ear Candling and Reiki I. I also studied Fashion and Photographic make-up and can do Eye Treatments too including Eyelash Tint, Eyebrow Tint and Shape. In my spare time, I go to Millinery classes at the local college, where I get creative, designing and making hats and head pieces – this is a very relaxing and therapeutic pastime, I also enjoy working up at sweat at Body Jam classes at my gym and wherever I am I enjoy nothing more than cranking up my stereo and filling the room with music. I look forward to meeting you, the next time you visit Glasgow. Hi, my name is German and although I am Spanish I work for Dr. 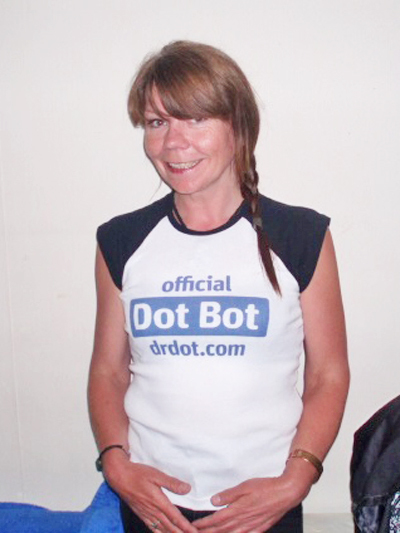 Dot based in Glasgow. I have been undertaking massage related studies for the last three years and find myself very focused on this topic. My qualifications include Body Massage and Reflexology. I enjoy working in this industry extremely much and feel very enthusiastic about being able to help others in this matter. 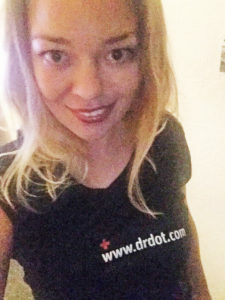 Joining my passion for massage with music seemed the perfect combination for me, so when I found out about Dr. Dot’s services on the Internet I applied in no time. I’ve been training Tae Kwon do since I was a child so I always feel the urge to physically challenge myself. The pleasure I get out of doing my job gets easily passed on to those who I work with. I am capable of very deep pressure massage, and therefore very effective outcome.